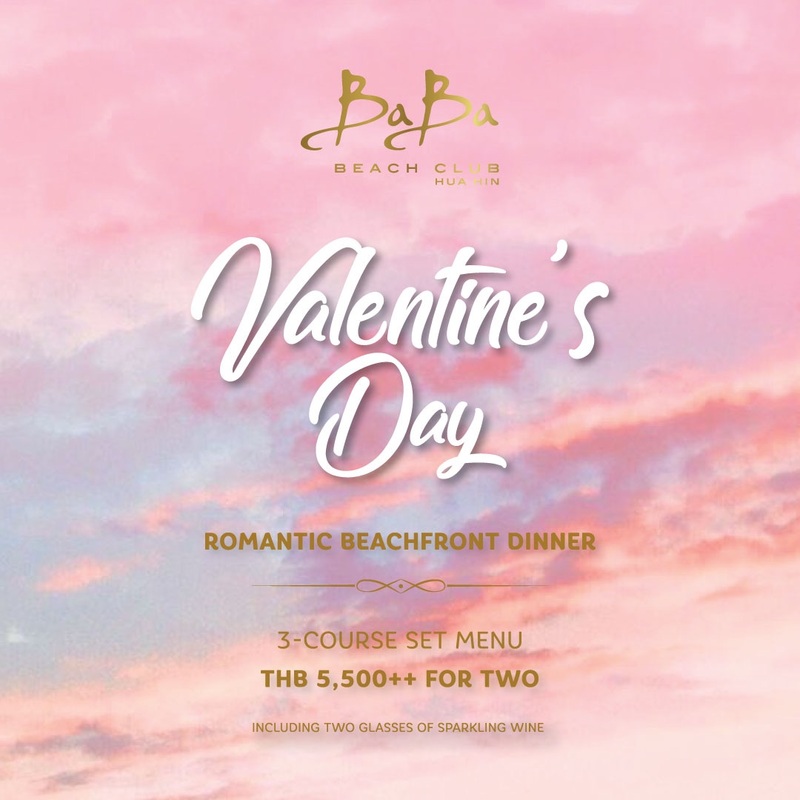 Valentine’s Day By The Beach At Baba Beach Club Hua Hin! Celebrate Valentine’s Day with your special someone with a beachfront culinary experience at Baba Beach Club Hua Hin. Indulge with our exclusive 3-Course Valentine’s Day Dinner & enjoy music as well as unforgettable ocean views. Book your own romantic Valentine’s at Baba Beach Club Hua Hin now!